As you are probably aware, New Philadelphia City Schools are exploring opportunities to improve our facilities. We invite you to continue with us on this exciting journey. We need your ongoing input and guidance to help us plan for the next 50 years in our community’s education. 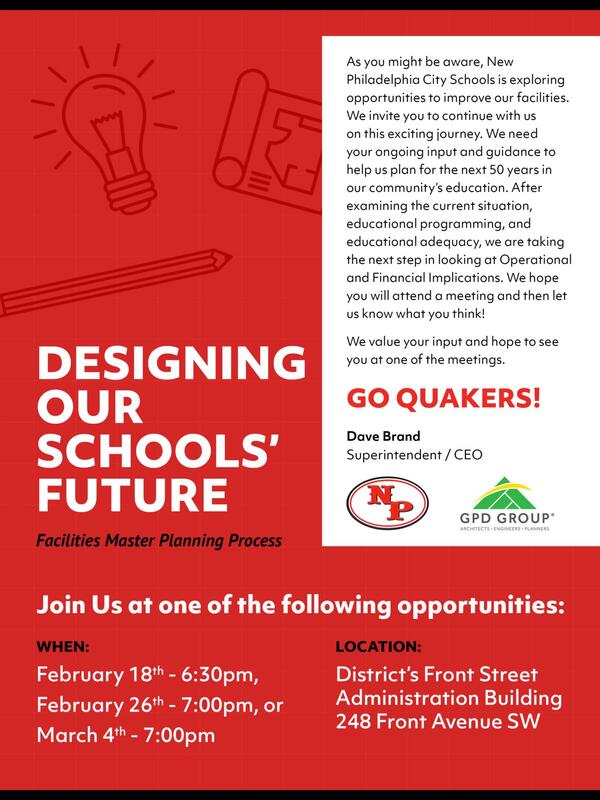 After examining the current situation, educational programming, and educational adequacy at past meetings and receiving great feedback, we are taking the next step in looking at Operational and Financial Implications. We hope you will attend a meeting and then let us know what you think!